Today’s households are connecting more devices to the Internet than ever before – with more and more iPhones, Androids, tablets, and laptops laying around in any given home, it’s important that each device gets the speed and coverage it deserves. 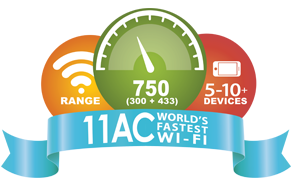 Delivering Wi-Fi AC750 dual band speeds to your home network, the DSL-2877AL is the perfect solution for those looking to enjoy HD video streams, fast file transfers, and lag-free video chatting – all with less wireless interference for maximum throughput. The shift to VDSL enables for high speed Internet over short copper lines.. Now with NBN Co. using Fibre to the Distribution Point (FTTdp) for all new rollouts to established areas this enables future proofing while also providing super fast connections. 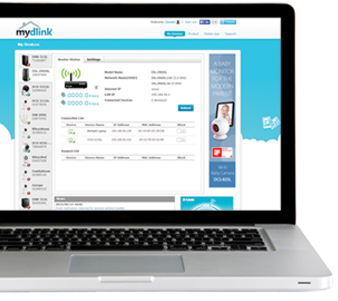 The mydlink service offers you a simple and easy solution to access your mydlink enabled router from anywhere around the world via the Internet. The mydlink service gives you a single place to view what’s happening at home in an instant while you’re away. Monitor and control your home network remotely while on the go. 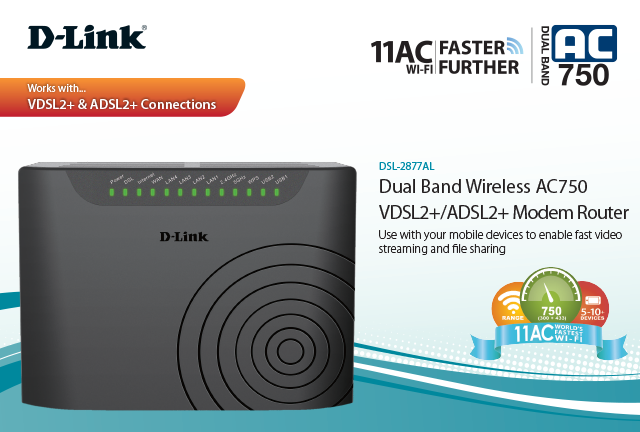 Simply log into your account via mydlnk.com or download the mydlink enabled apps.